Iron removal systems for well water supplies. A metallic or unusual taste to the drinking water. Slight rusty color to your water. Rust stains in sinks and toilets. Iron removal is considered a very important aspect of water treatment as its presence in water can change the taste of food and beverages and contribute to the blocking of pipes. If you have an iron problem it is best to contact water treatment specialists in your area so that they can assess the situation and advise you on the most suitable course of action. They will also be well equipped with the correct products to ensure your water supply is treated. The most effective treatment solution for water with high iron content is a chemical water softener with an oxidizing iron filter. At Hydro Solutions we provide the Florida area with professional water treatment services. As part of our services we also offer iron removal systems for well water. These include oxidizers and water filters ideal for iron removal. If you are experiencing high iron content in your water, it is best to get in touch with us so that we can assess the situation and present you with viable options. 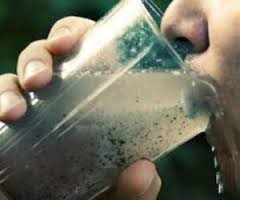 We will ensure you have access to clean and healthy drinking water once more. To learn more about our iron removal systems and water treatment services, contact us at Hydro Solutions today.